Polly and Eddy are at the seaside. 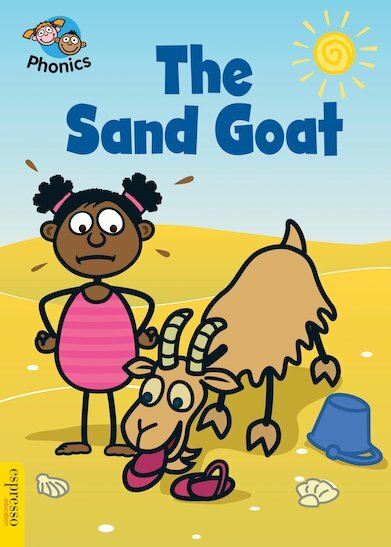 They decide to make a goat out of sand… but the goat turns out to be a very naughty goat indeed! A comical story for phonics improvers, told in no more than 150 simple words. Supplied in a sturdy hardback, this appealing tale focuses on adjacent consonants plus a wider range of everyday words including “said”, “have”, “like”, “some” and “come”. It includes a quick puzzle, plus notes for parents and teachers.